Best of 2013: Top 5 Singles. (Actually I’m lying, it’s 6) – music waffle. These are the tracks I’ve found myself going back to again and again in 2013. 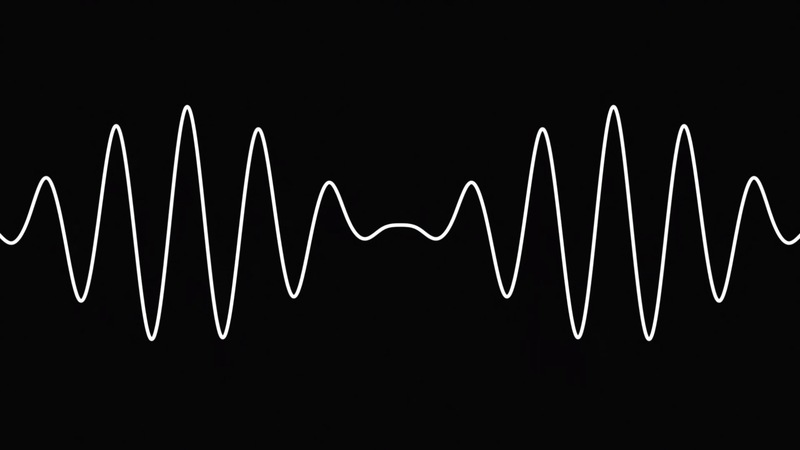 1) Arctic Monkeys – Do I Wanna Know. The swirling sound at the end of this track was used to introduce the Monkeys live gigs this year, but it was when the drum machine and guitar riff kicked in that you really knew the game was on. A typical Alex Turner lyrical masterpiece: meaningful with “The nights were mainly made for saying things that we can’t say tomorrow day” mixed with tongue in cheek “Ever thought of calling when you’ve had a few?” running over the sinister guitar line, supported by super high backing vocals (apparently Haim were asked to do these but couldn’t oblige). Complete brilliance. 2) Editors – A Ton of Love. I adore Tom Smith’s voice, which appears to be several octaves too low for his body. I don’t actually care that this sounds like a cross between Echo and the Bunnymen and U2, it’s a romping good yell along anthem, to which I have thoroughly enjoyed having a good yell along to. A highlight of the summer festival season. 3) Fran Classic – Cold Shoulder. Fran Classic are a great little band consisting of lead vocalist Fraser Forbes (whose guitar is a thing of beauty), Daniel Wheales and beat boxer Roman Scott. They possess a gentle and melodic easy listening sound that is very accessible, and won the Open Mic UK competition in 2010, which had over 5,000 entrants. The song was written in support of the Connor Saunders Foundation, a young man killed by one punch on a night out, and contains the themes of tolerance and understanding. 4) Water Knot – Ready. An absolute belter from the New Yorkers. At 5 minutes, it seems quite long for a single, but the time allows for the nuances of the song to develop, and more than anything for it to build to aural satisfaction. So many singles are just short and catchy, leaving me wondering why artists leave the better tracks hidden on their albums. Water Knot seem to work in a different way, with the recent EP Sometimes basically consisting of 5 singles. I like the cut of their gib. 5) Aiden Grimshaw – The Way We Are. I’m not even sure this was a single – just a free download. What a freebie! Aiden’s retro 80’s synth style and mournful vocal weaves a mesmerising web that really gets under your skin. Aiden, who has had the look of a moody loner at times, took the brave decision to close his twitter account and start from scratch this year, coming back with a new look and minus the Grimshaw. Not my usual kind of stuff, but this one certainly hit the spot. 6) Our Fold – Dive? So this snuck into my consciousness at the end of the year when I’d already decided upon my Top 5. Hailing from Bolton, former support act for the likes of Kasabian and The Prodigy, these guys are full of energy and seem like ones to watch in 2014. I hope you enjoyed this mixture of tracks. Previous Best of 2013: Top 5 Gigs. Next Best of 2013: Top 5 Albums.